This is set to be the third and the most powerful GLC in the lineup in India. Mercedes is all set to unveil a new GLC SUV in India on July 21, under its performance-oriented AMG lineup. 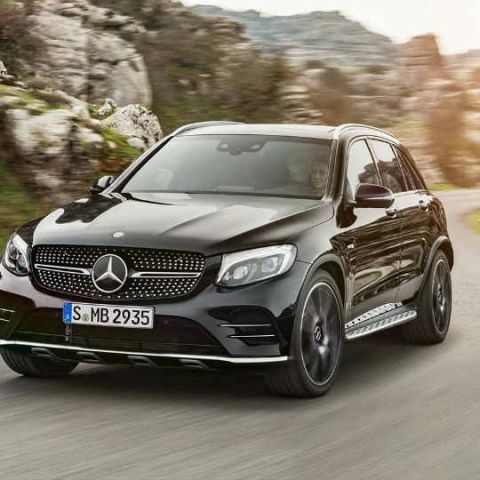 The Mercedes-AMG GLC-43 4MATIC Coupe will be the first SUV in the GLC lineup with a coupe-like chassis, and will be powered by a 362bhp, 3.0-litre twin-turbo V6 petrol engine that produces 520Nm of torque. This will make the upcoming Mercedes-AMG GLC-43 Coupe the most powerful offering in the entire GLC lineup in India. The new SUV will have a nine-speed transmission and the 4MATIC drivetrain makes it an all-wheel drive car. Being lighter than the Mercedes-Benz GLE SUVs, the AMG GLC-43 is faster, and will reach 0-100kmph in 4.9 seconds. The SUV will go on to top the speed off at an electronically restricted 250kmph limit. It will also come with five driving modes, including a user-defined one where the driver gets to customise the dynamics of the performance-oriented SUV. Presently, the Mercedes-Benz GLC lineup comprises the 220d 4MATIC (diesel) and 300 4MATIC (petrol) SUVs in India. The present GLC-class SUVs are priced within Rs. 55 lac, but this being an AMG edition SUV, pricing is expected to be around Rs. 80 lac. Watch this space for more details, coming up next week. When is the Xiaomi\'s Redmi note going to launch in India?